This scrumptious follow-up captures the spirit of the holiday season. From making the same kind of cookies at the same time each year to decorating them with lots of sprinkles, youngsters will gobble up vocabulary words and holiday lessons in this charming dictionary of sorts. It's the Christmas season during a time when people had little money to spend. Cookie jars held pennies, not cookies. So when Jack smells something delicious coming from the kitchen, he can't believe his nose. Cookies! But his excitement turns to disappointment when he learns the cookies aren't for him. Instead, his mother is baking them for the needy people at their church. While Jack helps roll out the dough, his mother tells him the story of the Christmas cookie. 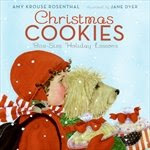 In a captivating interplay of simple words and beautiful illustrations, this book tells a tender story of giving, not just cookies, but gifts of the heart that last forever. In today's mad-dash world, it's easy to lose perspective about what matters most, even when it comes to the most important people in our lives. That's why the authors have teamed up to pack their best principles into and easy-to-read program designed for today's busy people. Each secret reveals life-tested wisdom, biblical principles, and action steps on key topics. Let two of America's experts lead you and the one you love into your best-ever days of "couplehood," starting today! This is the first live concert CD/DVD features "Whispers in the Dark", "Rebirthing", "The Older I Get", and "The Last Night". Includes music videos, a photo gallery, and accoustic songs. At just 30, Camp is even more passionate than before for impacting the lives of young people. This new album makes it evident that faith and family always come first. Camp once again grows as a writer whose testimony is just as inspiring as the reflections sewn across this CD. This beautifully soothing and reverent CD is a quiet reflection of the mystery of Christ's birth. His songs have proclaimed love and gratitude to God. It is a voice that has been heard by millions as a worship leader. Today Travis Cottrell continues to amaze audiences with his voice and has joined forces with Brown Bannister to produce a long awaited and unforgettable Christmas album. "Ring The Bells" features some well-known classics and six newly recorded Christmas songs soon to be favorites to everyone. It also features a duet with Natalie Grant called "Ring The Bells". During this season of giving and getting, many children make a Christmas list. 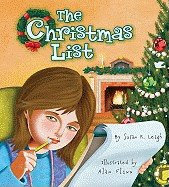 In this picture book for six to nine-year-olds, readers learn that a wish list of gifts is fun, but it's not as important as God's list of all His children, the Book of Life. This story encourages children to focus away from materialism by reminding them of the meaning of Christmas, the day God sent His Son to be our Savior, who is the best gift of all! 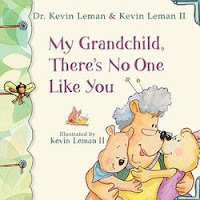 The joyful sounds of ten traditional Christmas songs accompany this beautifully illustrated, interactive book. Packed with over 50 flap surprises, Christmas is Here! tells the story of the very first Christmas. As they explore the pages, the entire family will delight in listening to hymns on the enclosed CD. Simple activities and questions related to the songs help kids apply the Christmas message to their own lives. Nooma is a revolutionary product that is changing the way people view spirituality. This new format called Nooma is a short film along with a study guide. Rob Bell's newest Nooma is about surrendering the ideals of our image. We all get consumed with ourselves; sometimes we're not even aware of it. We learn from a young age that life if about winning and impressing. We pick up that our worth comes from looks or skills. Jesus invites these parts of us to die, the parts of us that tell us our worth comes from the things we say and do. Maybe it's only when we let these things die, that we truly begin to live. If you stop to think about it, it is astounding that the simple birth of a peasant baby more than two thousand years ago can cause traffic jams every December. The night Jesus Christ was born in Bethlehem, a small group of poor shepherds were quietly tending their flocks of sheep in a nearby field, looking up at the stars. Nothing seemed any different from a thousand other nights. But what was about to happen would transform not only their lives but billions of other lives as well. The world would never be the same again. Regardless of your religious background, you need to know how the 3 purposes of Christmas solve your 3 greatest needs. Pastor Rick Warren leads you through a video-based study on the true purpose of Christmas. Teaching from the Gospel of Luke in three sessions, he helps you see not one but three purposes of Christmas announced by the angel at the birth of Jesus. Discover why Christmas is God's idea and why Jesus is the greatest gift. Your life will never be the same. On Christmas we give and get presents, we sing songs, and we decorate our homes. but what is is really about? Is our happy holiday a Holy Day? Find out why we place the star on the Christmas tree. Imagine Christmas guests as travelers of long ago. Let the beautiful song "Silent Night" fill your mind with pictures of the night Jesus was born. Christmas is God's gift to us. If we look around and remember, we'll learn to see the real Christmas. Until Scot McKnight wrote this book, today's Christian had little choice. Either side with out-of-touch fundamentalists or unrealistic liberals...which left millions in the middle disenfranchised, unsure how to read the Bible in a postmodern world. In this bold reexamination of reading the Bible the author proclaims a new "Third Way," one that walks confidently between two extremes. If you've ever wondered why you can't just be a Bible-believing Christian without all the baggage that goes with being on the theological left of the right, The Blue Parakeet is for you. There's nothing quite like a trip to the Grandbears' house! Whether you're making cookies, fishing, jumping of the bed, or eating dessert first, time at Grandma's and Grandpaw's is always exciting. So forget the schedules and lists and everyday stuff-it's time for fun! In a time of profound and rapid change, church leaders are presented with a new paradigm that empowers them to stay culturally sensitive and on task. What do we mean when we use the word transformissional? Coaching as we see it, enables transformation, which in turn leads to missional ministry. Great coaches come alongside leaders so that leaders can be transformed into the image of Christ and join Him on His redemptive mission. Entering and experiencing the Great Commandment goes together with expressing and engaging the Great Commission. You can't have one without the other. This book is really an exhaustive research project on all biblical references to heaven. The author does a good job of pointing out the false thoughts and statements about heaven that permeate society, some of which have been around for a long time. He also paints heaven in such a great way, helping the reader to realize what an amazingly beautiful and wonderful place it will be. He also teaches how our life here on earth (for those who put their trust in Christ) is preparation for our eternity in heaven. Reading this book really helps the Christ follower get excited for eternity. It also may help those who have not yet put their faith in Christ, to learn more about that, so that they too will be able to spend their eternity in the unbelievably wonderful heaven God is creating. This book is 475 pages long, so for some people, listening to the audiobook is a good alternative.